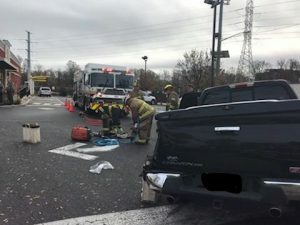 On Saturday November 24, 2018, Squad 921 was special called into the City of Woodbury at the intersection of Broad Street and Red Bank Avenue for a motor vehicle crash. 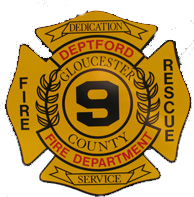 Chief 501(Gartner) reported a 3 vehicle crash with multiple injuries and two entrapped. Squad 921 was detailed into the parking lot of the McDonald’s at the intersection and its crew was detailed to the vehicle with the two entrapped occupants. Squad 921’s crew stabilized the vehicle as Engine 513’s crew were setting up their tools for the extrication. Once access was made, the crews then assisted BLS with patient removal. Crews restored their apparatus and then remained on location until released by the police department.